I have a 6x4 box trailer for general garden use for mulch/dirt. I don't use it camping or offroading. I am finding that the suspension is bottoming out when the box is only 75% full with dirt. 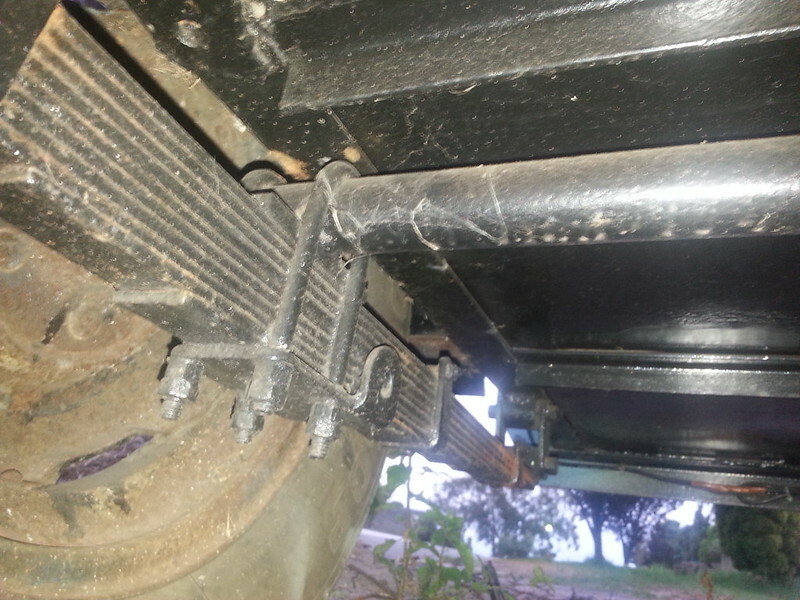 Is it an easy DIY process to flip the axle so the leaf springs sit over the axle without specialised tools? Any recommendations for a shop to do this in Perth SOR? 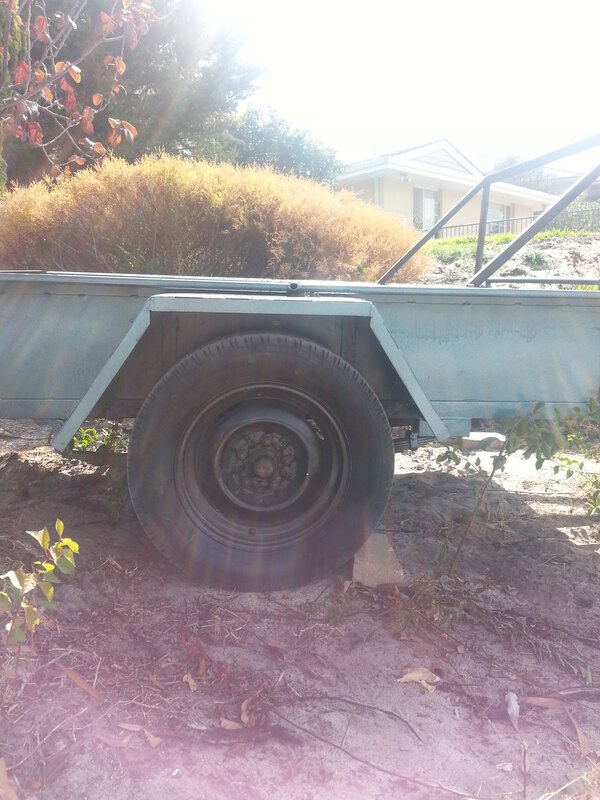 1) when your 6x4 is three quarters full of dirt, it's probably well over 750 Kgs. Specially if it has 500 mm sides! 3) flipping the axle is otherwise quite straightforward. It will be a LOT easier if you have someone to help. 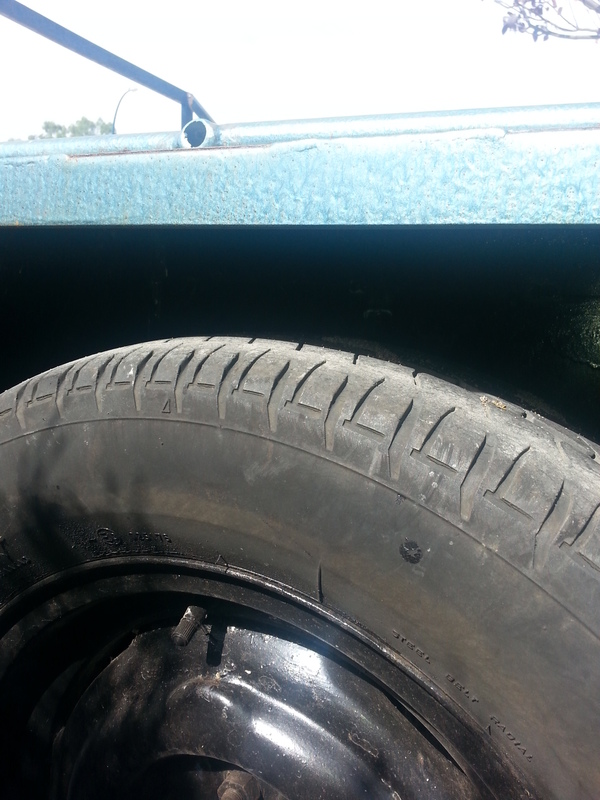 Just make sure that you align the U bolt fish plates properly over the pins on the springs. You may have to make up a small fish plate for the top of the axle where it contacts the spring. 4) while you have the hubs and bearings apart, take the opportunity to give them a really good clean, inspect and re-grease with good quality wheel bearing grease. Do not use marine grease unless you use your trailer in salt water! It isn't as good as normal wheel bearing grease, just better at repelling water ... Probably a good time to replace the rear bearing seal in the hub. 5) tighten the hub nuts properly after refitting them. Too tight/loose will bugger the bearings, and possible break the axle stub. Tools needed are normal spanners and a 10-12" shifter for the hub nuts. I do the same but i usual double nut with a nyloc on the outside. Not sure if It's any better but doesn't hurt (unless the nut is over 18mm my bolt shop charges the same for nylocs or nuts. ^ I agree, Id. Certainly can't do any harm! 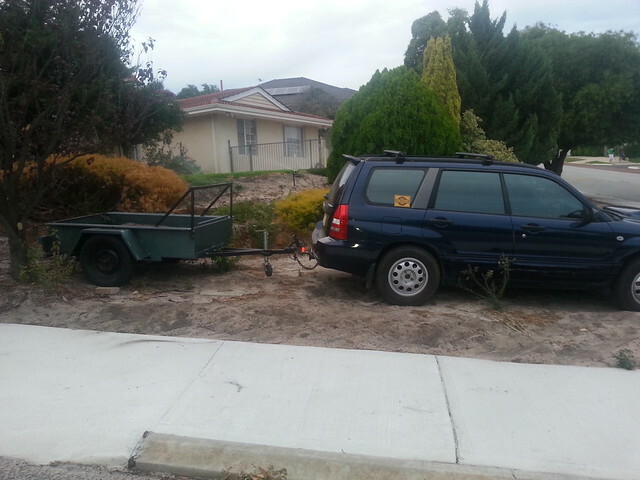 I have a feeling it's not quite 750kg, it's my first trailer so I'm not sure. Doesn't even look 75% full??? this is from underneath, it's supposed to be heavy duty but why does it bottom out so easily? 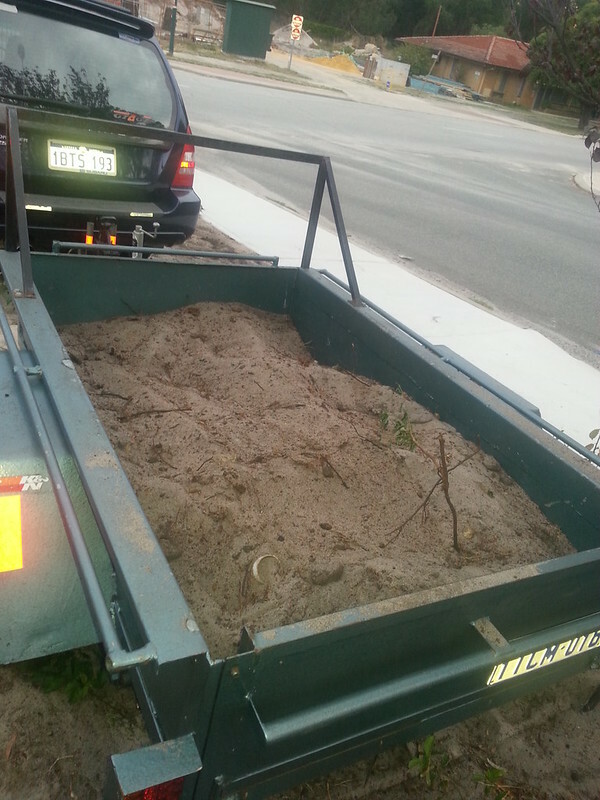 I estimate that there is roughly 670 Kgs of (very sandy) soil in your trailer - 1.220 x 1.828 x 0.25 x 1200 Kgs/cu.m. = 670. If filled to level at the top, that weight increases to around 940 Kgs for the soil. If it is damp, increase the 1200 factor to 1450 ... ! Those springs do indeed look mighty heavy duty, but it's not their size that determines their carrying capacity but their rating. Judging from the provision of the shock mounting point on the lower fish plate, I am guessing that they may not have a very heavy rating. Perhaps as low as 500 Kgs per spring. That could explain the bottoming out. How do the springs sit when empty? I had around 0.75 cu.m. of damp sand in mine once, for less than a kilometre at about 40 kmh. 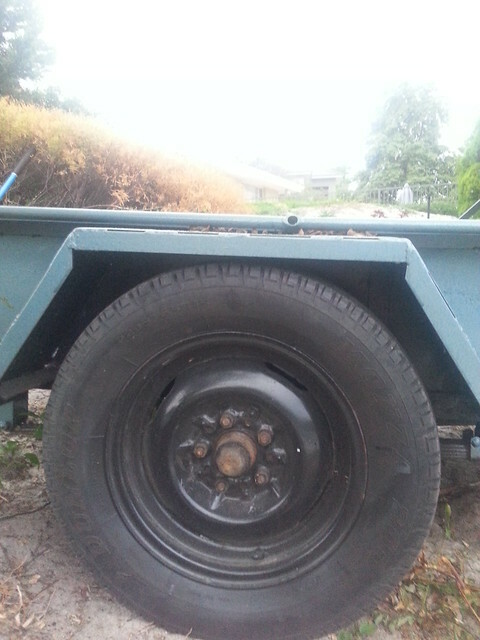 That was around 1120 Kgs, plus about 250 Kgs for the trailer (then - about 30 years ago). That load bottomed out the springs like yours. They are rated at 12 cwt each (originally), about 610 Kgs each. My trailer is a 7x4 with 300 mm sides, but it was heaped! In that second shot, the rear slipper part of the spring should be inside that piece of box section, not under it. That will make your problem worse, not better, but it needs to be inside for safety reasons. It stops the rear of the spring from being free, i.e. restrains it when there is rebound. This being the case, it seems that there is something very wrong with how your suspension and springs are set up. The spring also seems too flat for all those leaves. Maybe the front spring hanger is the wrong length?? Take it to a trailer expert. He will tell you immediately what the problem is, but I can tell you that you have got one! ^ Further to the above, I've just realised that your springs are fitted backwards!! Mate, this is seriously dangerous. All times are GMT -3. The time now is 09:54 PM.